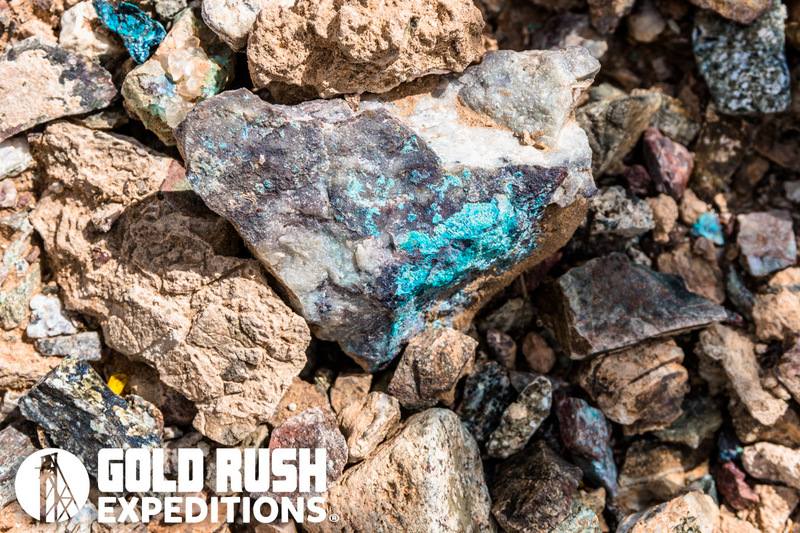 The Green Streak, or Green Quartz Lode Mine is a large deposit located in central Arizona. The mine is a massive effort and has dominated the region while in production. The mine, according to reports is just over 9000’ on multiple underground levels. There is no defined mapping of the workings. The Green Streak Mine is and was large enough to be labeled in its own sub-District, known as the Green Streak District. The claim and workings consist of a primary shaft, estimated to be 80-100’ in depth. There are reported drift levels cut off of this shaft. There is also at least one adit that has been blocked and likely runs into the main shaft which is estimated to only be 80-90' in depth, this shaft then branches out into a series of drifts below the surface. Reported workings in 1983 were 4100' on multiple levels. Mapping of the mines shows that the workings prior to 1942 were well over 9000' on multiple levels. 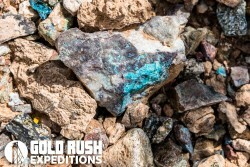 The mines were reportedly worked for gold with a copper byproduct. Noted for many pockets of high-grade ores, the mines were quite successful prior to their forced closure in 1941 by the federal War Act. Prior to closure. In its heyday, the mine boasted a double battery crusher, a gravity mill and 2 leaching ponds producing substantial copper and gold. In or around 1981, the mine was re-worked while the price of gold was high. Less than 50 tons were processed which netted the miners 46 ounces of gold over a 1 month period. In it's heyday, the mine boasted a double battery crusher, a gravity mill and 2 leaching ponds producing substantial gold and copper. Contact Jason for more information or with questions.